1. Barnhardt House, 3217 Maymont Place, Charlotte. Fred Caligiuri, the developer of Cramer’s Pond, has granted a 30-day extension for the completion of the contractual improvements to the house. Staff is working with the Project Management team to establish the color of the roof shingles to be presented to the supervising architect for the Cramer’s Pond neighborhood. Staff will also be working to repair the windows and paint the exterior of the house. The Projects Committee met with the prospective buyer who has met with Stewart Gray to discuss potential alterations to the property. The tarp on the house has failed, and water is entering the house. 2. 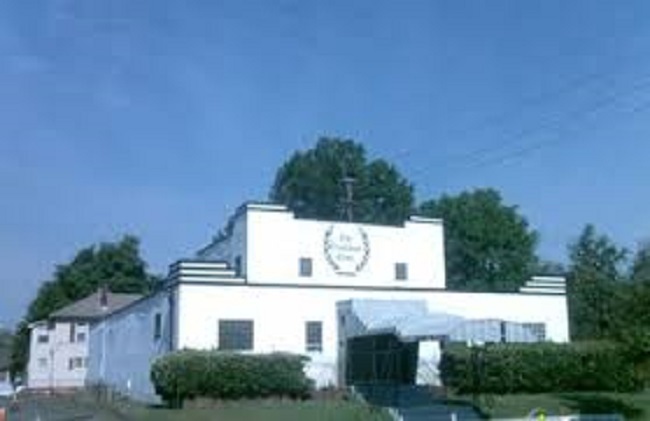 Ingleside, 7225 Bud Henderson Road, Huntersville. Sandy Carnegie, HLC attorney, is working to arrange for a closing on the property in September. Peter Wasmer is gathering the necessary information to present to the Board of County Commissioners to obtain recognition of the funds needed to buy the property. Money has been spent on the repair of the air conditioning system. The Projects Committee will have a recommendation to present to the Commission. 3. 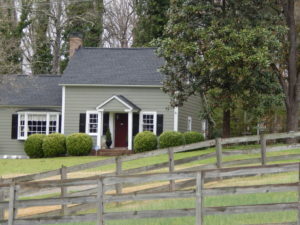 Wallace Log House, 9425 Robinson Church Road, Charlotte. 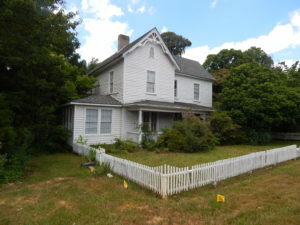 Staff is processing the property for historic landmark designation, and Peter Wasmer is gathering the necessary information to present to the Board of County Commissioners to obtain recognition of the funds needed to buy the property. The owners of the property have agreed in principle to the terms of a lease of the property following closing. The Executive Committee will have a recommendation to present to the Commission. 4. Torrence Lytle School, 302 Holbrooks Road, Huntersville. Brock Ventures, the prospective buyer of the Torrence Lytle School, has deposited its initial earnest money payment. He continues to perform due diligence. Staff has received an email from Brock Ventures expressing concerns about the economic viability of the project. Staff is exploring ideas with the prospective buyer as to how the project may be made viable. 5. Pecan Avenue Duplex, 1427 Pecan Avenue, Charlotte. The Projects Committee has met with the owner of the property concerning possible acquisition of an exclusive, assignable option to purchase the property. The Projects Committee has a recommendation to present to the Commission. 6. 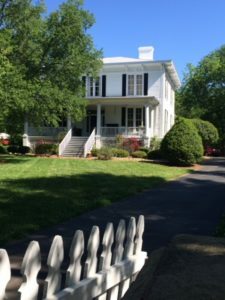 McConnell House, 4009 Beatties Ford Road, Charlotte. Staff met with representatives of Martin Marietta, owners of the property, and suggested a variety of preservation solutions. Martin Marietta has determined that the house must be moved from its present site to property not owned by Martin Marietta. Martin Marietta will donate the house to an entity that would move the house. The Projects Committee has a recommendation to present to the Commission. 8. Former Mt. 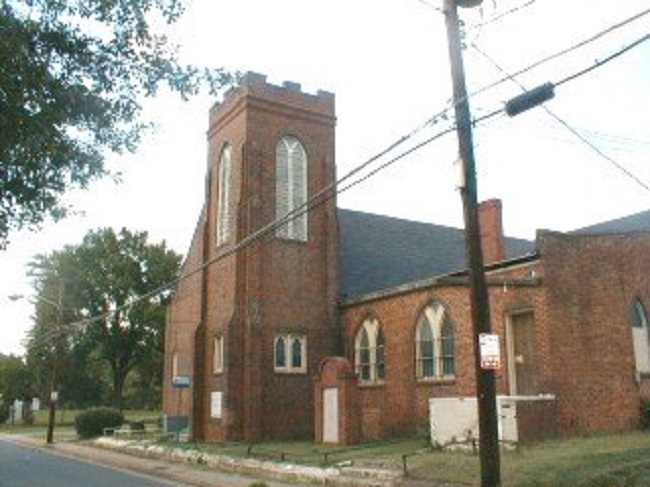 Carmel Baptist Church, 412 Campus Street, Charlotte. 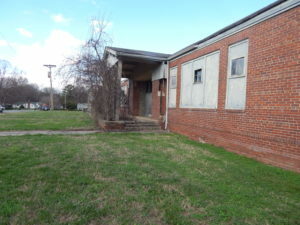 The City has ordered Johnson C. Smith University, the owner of the property, to bring the building up to code by October 10th or the building will be demolished. The University cannot legally demolish the building, because Preservation North Carolina holds deed covenants on the property. Staff is working with Preservation North Carolina to arrange a meeting with University officials to discuss the situation. 9. Charlotte Streetcar 85. Charlotte Streetcar 85 has been leased to Lakewood Trolley. 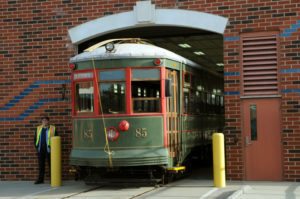 The Streetcar was moved on August 1st to the Trolley Storage Building on Chamberlain Avenue. The Commission will be working with Lakewood Trolley to make the necessary repairs to Streetcar 85. 10. Charlotte Streetcar Number One. Charlotte Streetcar Number One was built c. 1910 by the J. G. Brill Company of Philadelphia, PA. It was shipped to Athens, Greece and operated on the streets of Athens into the 1960s. It then became a rail repair car. 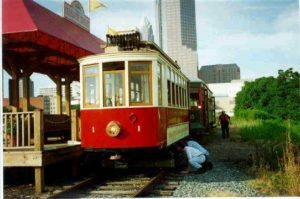 In the 1980s, the Historic Landmarks Commission sought to introduce vintage streetcar service in Charlotte. Staff convinced a local developer to purchase and restore Trolley Number One. It was transported by ship to New York City and transported to Guilford, Connecticut, where it was restored. The streetcar was transported to Charlotte and arrived in 1989. The car was donated to the Historic Landmarks Commission, which in turn gave the streetcar to Charlotte Trolley. Negotiations are now underway for the Commission to acquire Trolley Number One from Charlotte Trolley for possible lease to Lakewood Trolley. 11. 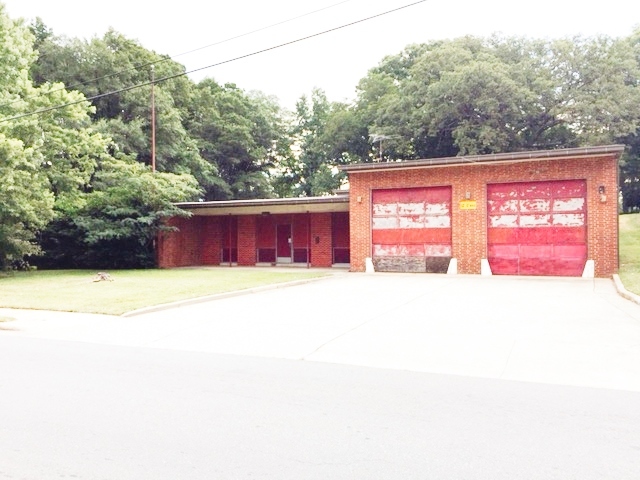 Former Charlotte Fire Station No. 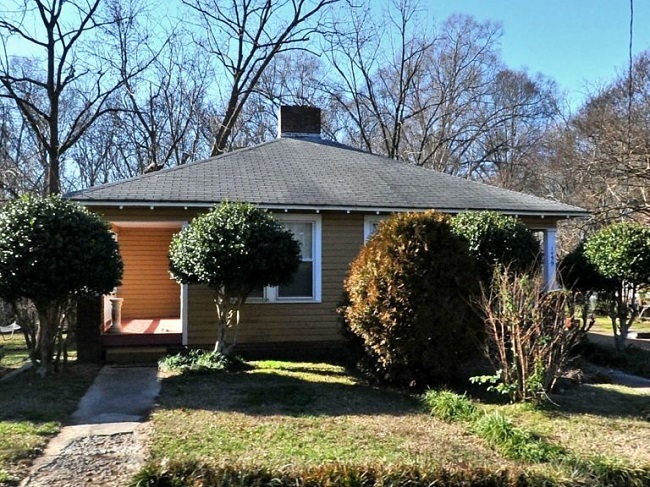 10, 2136 Remount Road, Charlotte. 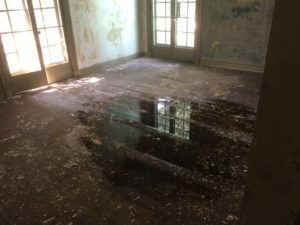 Staff continues to negotiate with County officials about the possibility that ownership of the property might be conveyed to the Historic Landmarks Commission. 12. 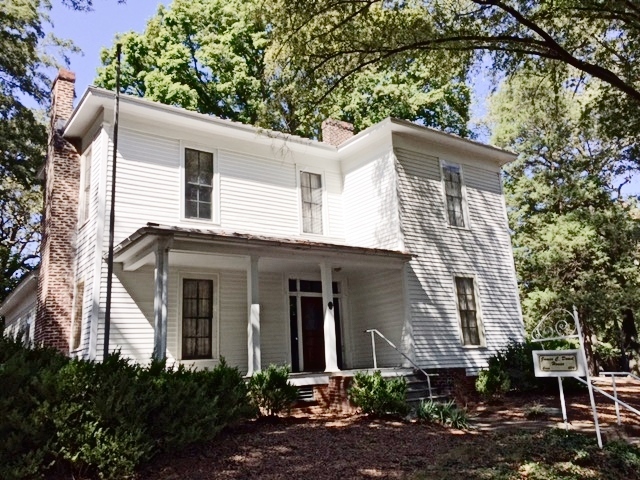 James C. Dowd House, 2216 Monument Street, Charlotte. 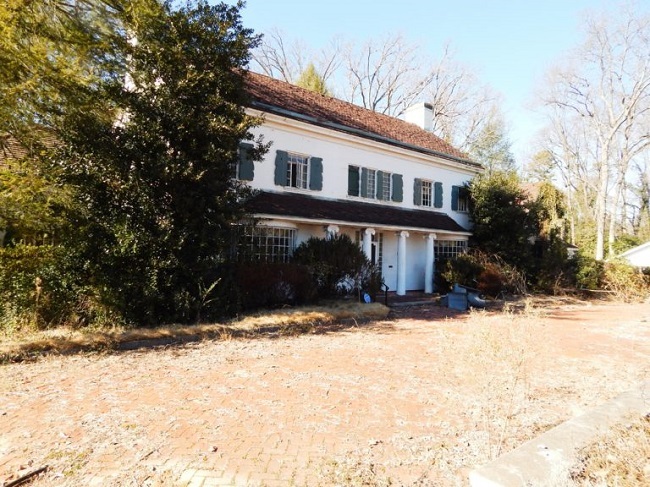 There have been no new developments regarding the Dowd House since the June meeting of the HLC.